Pork lover must have this. 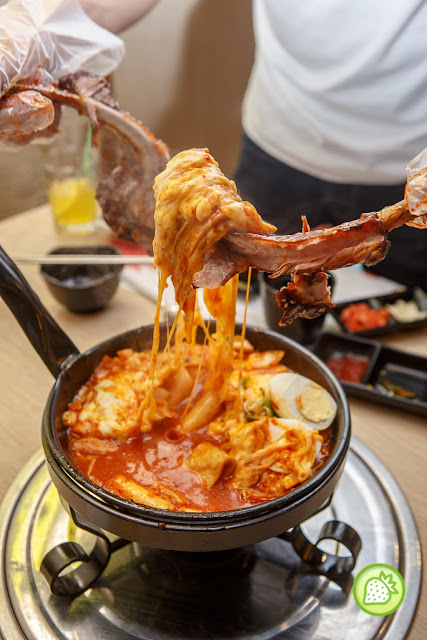 Comes with five huge sticky glazed ribs and served in a pool of mild spicy stew that completes with loads of melted cheese in it. This is just awesome! 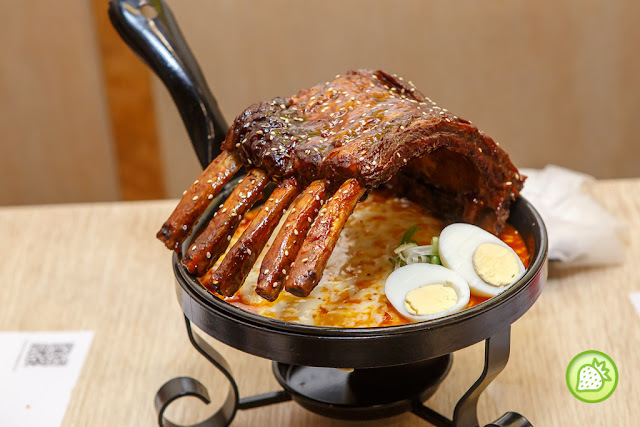 Imagine yourself with this awesomelicious pork ribs coated with those yellow sticky creamy cheese. That’s just heavenly. Oh my! This is just heavenly. Looking it when it is served my tummy starts drooling again. 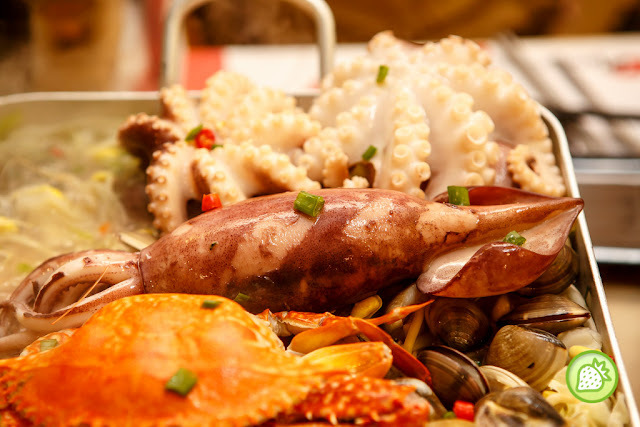 The huge platter is completes with the huge portion and variety seafood laid on the huge plate. 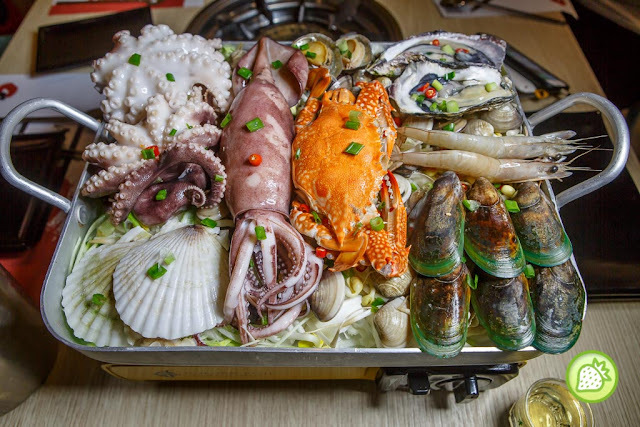 Comes with clams, oysters, flower crabs, prawns, mussels, and also huge octopus. Poured some white wine in it and it brings you with the overwhelmed dish that will definite tempt you till the fullest. 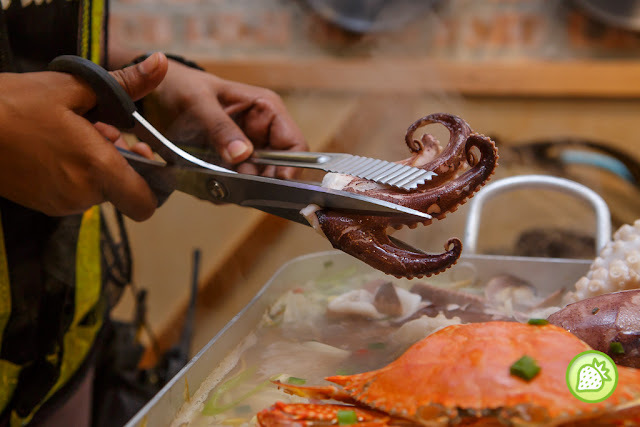 It is amazingly good and the taste is well infused with the hint of the white wine. 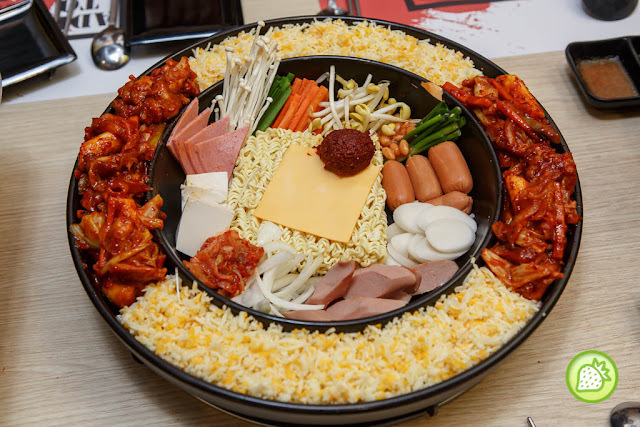 One of the signature here, and it is one of the unique dakgalbi I had taste. Served with the delicious ingredients where they have the soup part in the middle, and surrounded by the cheesy mozzarella and parmesan cheese. The stew is just perfect for 2 where we really have a great indulgence with this awesomely good stew where you enjoy the noodles together with the ham and sausage. After enjoying the noodles,add in some rice and stir fried it and you will have the delicious fried rice . 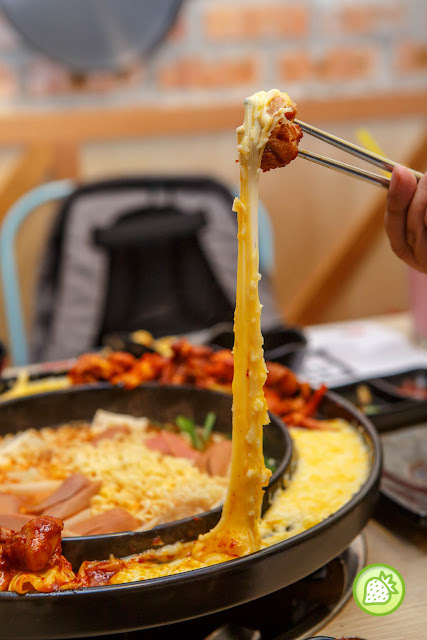 You can also have the cheese spicy stir – fried toppoki with it.